Small space + natural light + fun colors/textures/patterns. I wanted this to be super cozy and relaxing! 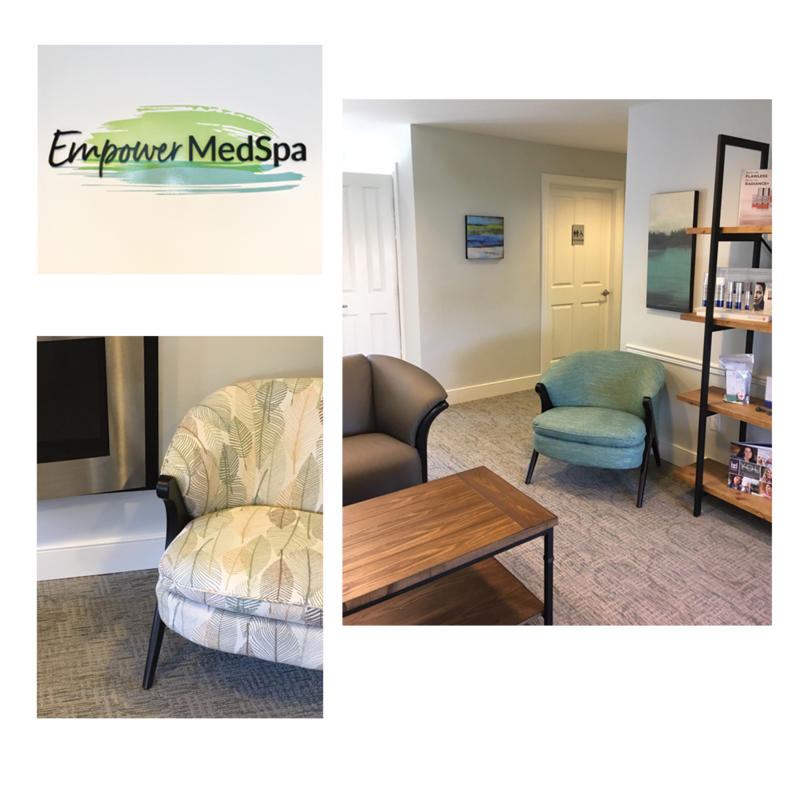 My client had secured a rental on a former doctor’s office for their new business and needed help transforming a dark, dated space into something more appropriate. 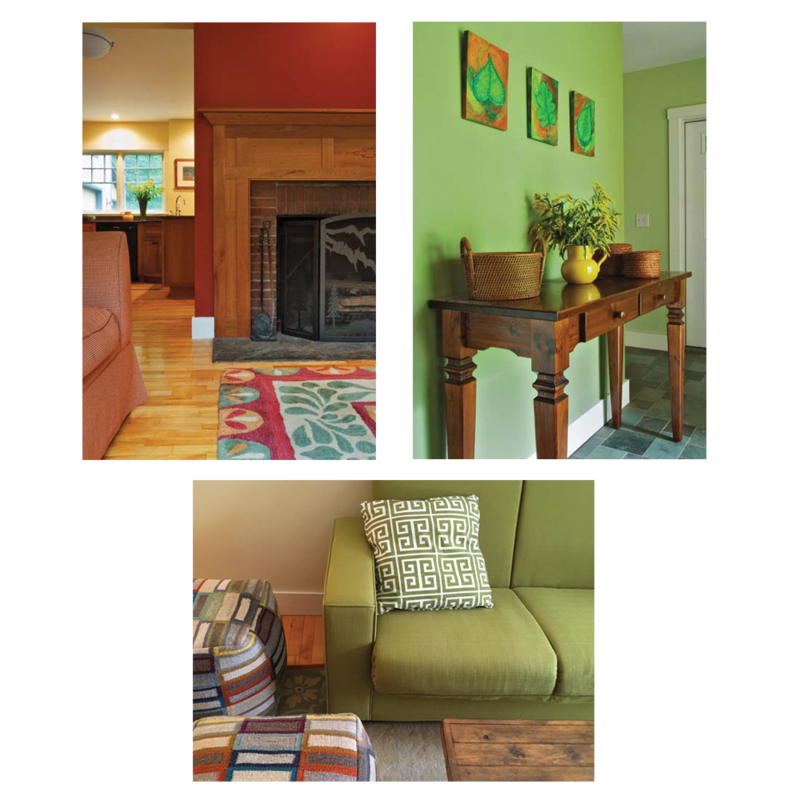 I selected wall colors, flooring, new gas fireplace (to replace a brick fireplace), furniture, and artwork along with designing the logo and signage. Complete refresh! 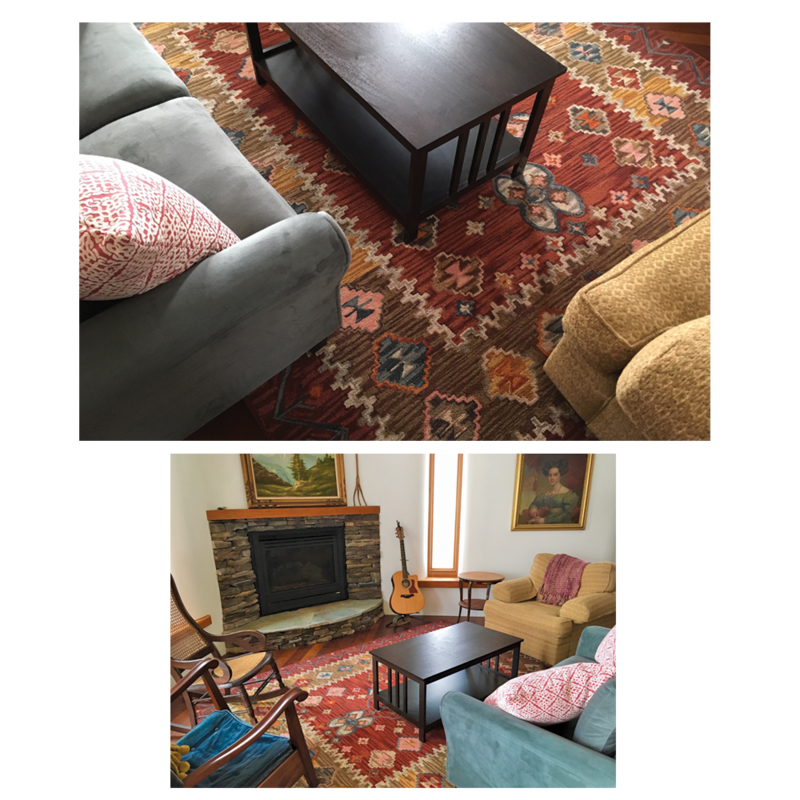 My client had purchased a new home and owned just two potential pieces for the living room and wanted help pulling the entire space together. I made suggestions for a fireplace update, rug selection, couch, table and soft goods. Beautiful space on a tight budget! 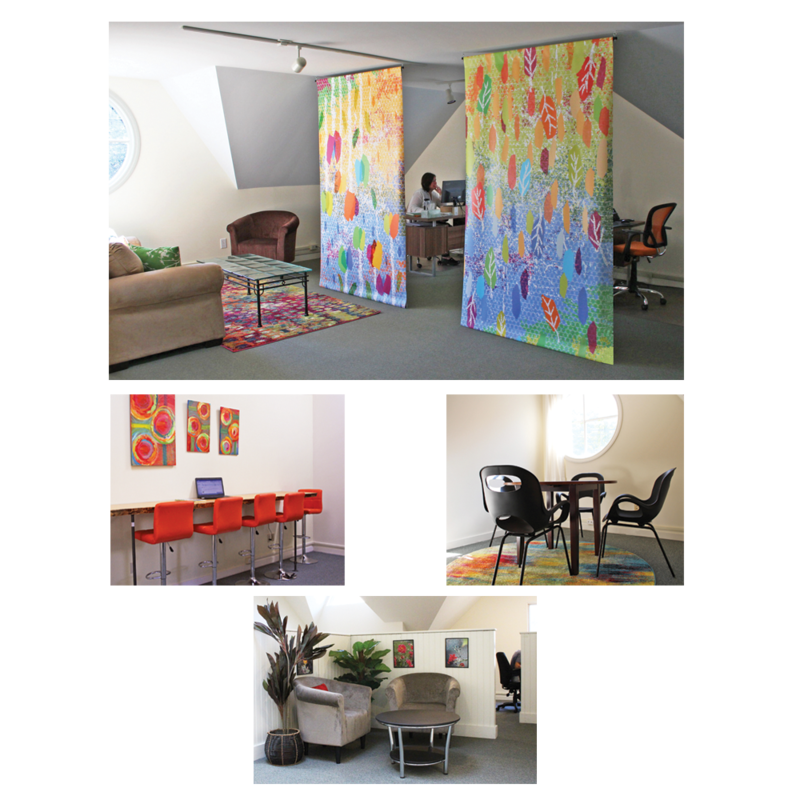 My client had one large open room and wanted to add color and life to the space as well as create some nooks for privacy without adding expensive sheetrock walls that could potentially discourage dialogue and collaboration. I selected all the colors and furniture and designed two large fabric banners that helped visually divide the space and add interest. 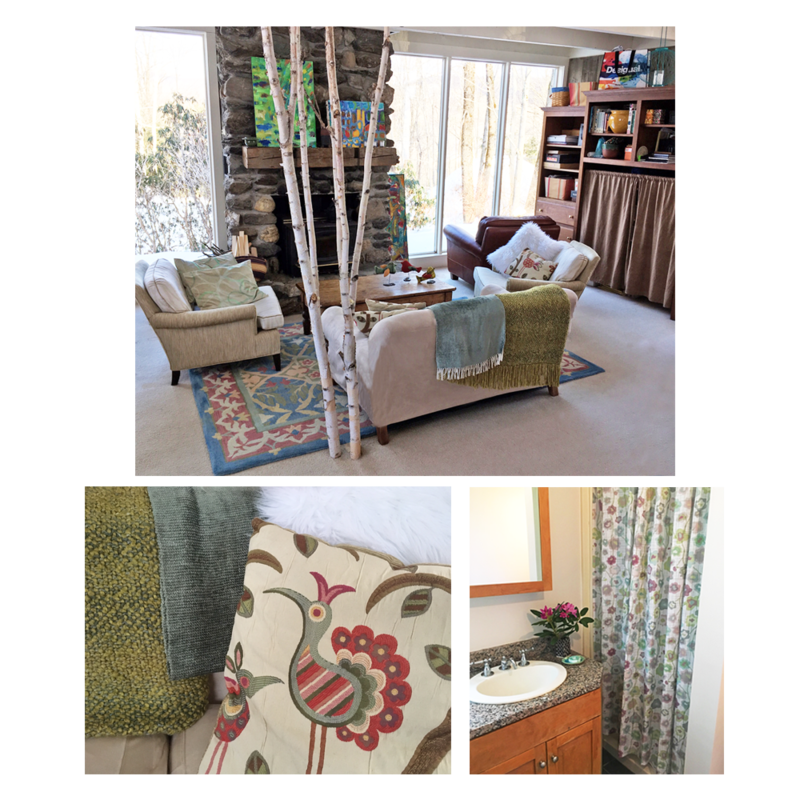 “No white walls please!” Client wanted a warm, rich palette with colors and patterns reminiscent of their international travels. I selected the colors, furniture and some soft goods. 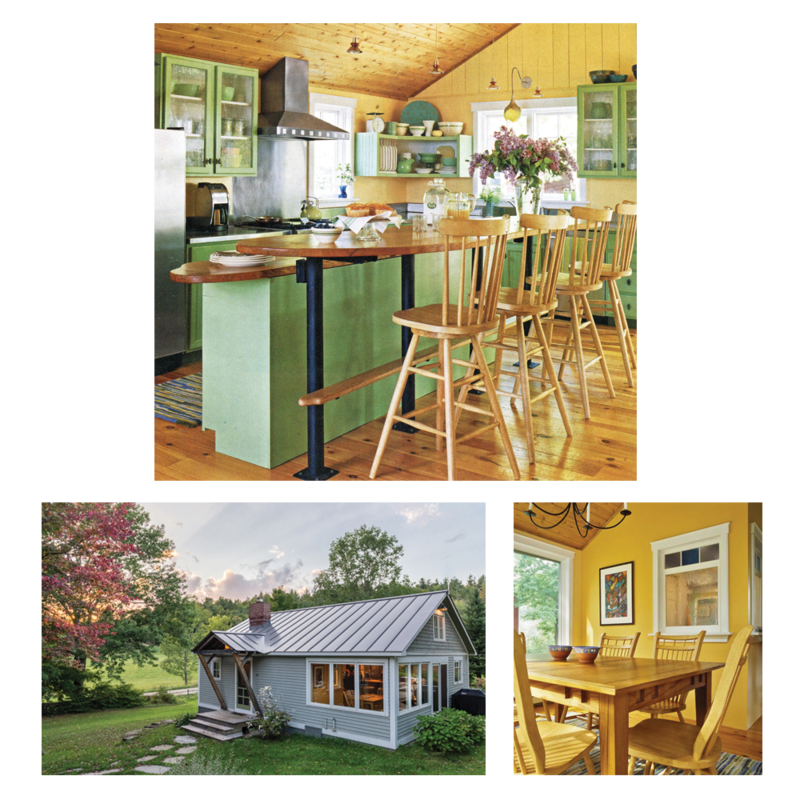 A fun, warm kitchen I designed that caught the eye of an editor at a national magazine. She liked my use of color, detail, and layout for maximum fun for family and guests.